Nagarjuna is a verdant hill, has covered with the lovely forest. It is said that the great Buddhist philosopher Nagarjuna meditated here. The cliff located inside is suitable for both beginners and wall rats. It has lime stone rock face about 12 to 15 m high, described as ‘piton scarred’ or a def-aced face’ by the purists. If you are experienced, you can do a free climb otherwise you use a friendlier chocks. It is 3 km from Kathmandu to the entrance of the Nagarjuna forest then hike up. Follow the dirt road and the wooded trail; the looming rock face will greet you there.The location is inside the Shivapuri - Nagarjuna National Park. 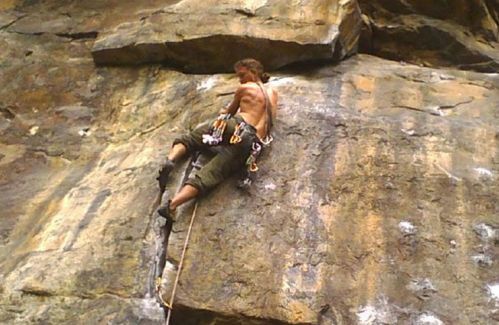 After we get our name registered and having permit to go inside, we can proceed there with our climbing stuffs. It is just not climbing excitement but one can have great opportunity for the hiking there. It is all surrounded by lush green forest and valley view could be amazing if the day is clear. 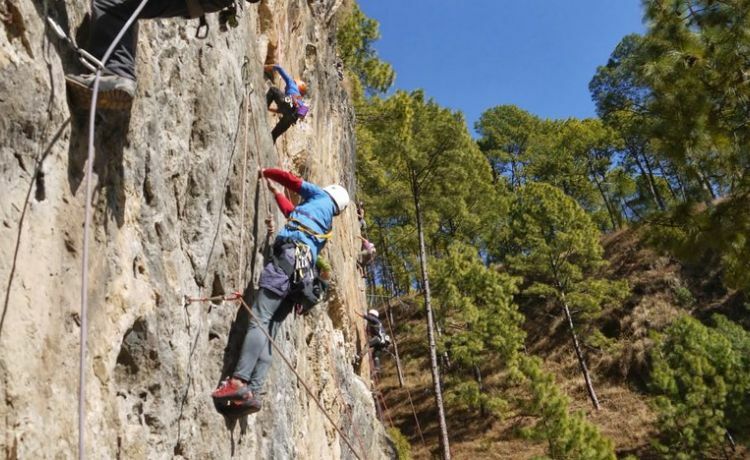 Day 01:Drive from Kathmandu city center to the gate, 20 min., hike about 45 min till the climbing spot, 2 hours rock climbing, have packed lunch and return back to hotel.